The 4th annual Sheppard Pratt Health System Stride is around the corner, and I’m looking forward to spending the morning Striding. As the president and CEO of Sheppard Pratt Health System, I’ve seen firsthand the impact that the funds raised through this walk and 5K can have on those we serve. Here are some of the reasons why I Stride. I hope you’ll join me on October 14th to participate in this fun and meaningful event. I take immense pride in the work that Sheppard Pratt does, and this gives me a chance to support our efforts. By participating in the Stride, I am able to raise funds to support the lifesaving programs and services we offer. And, I’m able to introduce others who may not be familiar with Sheppard Pratt to our work by encouraging them to donate and to join me in Striding. I enjoy spending time with my family, friends, and colleagues at this fun-filled event. The Stride provides a wonderful opportunity to spend time with my family, friends, and colleagues in a stress-free setting. It is a great child- and pet-friendly way to spend a Saturday morning in early fall. I want to foster a better sense of community as we all Stride towards the same goal. Inviting the community onto one of Sheppard Pratt’s campuses allows them to see firsthand what a world-class health system looks and feels like. It also gives people a chance to get to know Sheppard Pratt so that we can work together to help grow our community and fight stigma. Every dollar raised supports Sheppard Pratt’s programs and initiatives and makes a positive impact on those we serve. So, please Stride with me on Saturday, October 14th. Online registration for the Sheppard Pratt Health System Stride is open through October 12th. Click here to register, donate, or learn more. Harsh K. Trivedi, MD, MBA, is the president and CEO of Sheppard Pratt Health System. Dr. Trivedi is a double board-certified psychiatrist and seasoned physician executive with formal business training. He is the consulting editor of Psychiatric Clinics of North America, Chair of the American Psychiatric Association Council on Healthcare Systems and Financing, and serves on the American Hospital Association Governing Council for Psychiatric and Substance Abuse Services. 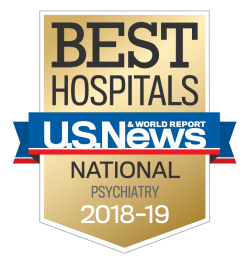 He is a thought leader regarding health care reform, integration of psychiatric services, and in the provision of high-quality patient-centered care. Trivedi earned his Doctor of Medicine (MD) at the Icahn School of Medicine at Mount Sinai, and his Physician Executive Masters in Business Administration (MBA) at the Haslam College of Business at the University of Tennessee.